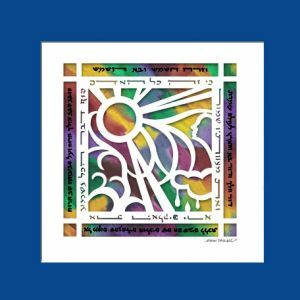 Categories: Bar and Bat Mitzva Gifts, For Parents and Grandparents, Gifts for the Jewish Home, Great Gifts for the Holidays!, Jewish Children's Gifts. 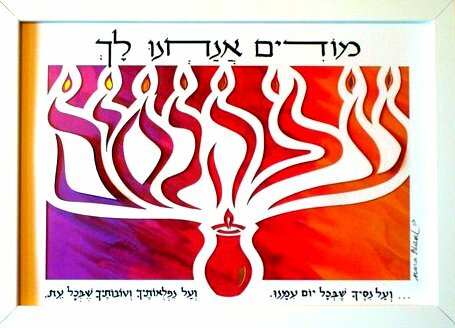 Tags: Chanukah, Jewish Paper Cut Art, Judaica Gift, Marci Wiesel, Mode Ani, Papercut. 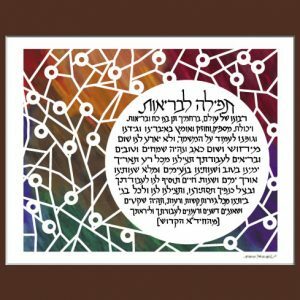 The theme of this Jewish paper cut, carefully rendered by Marci Wiesel, is giving thanks to G-d for all the miracles He bestows upon us. 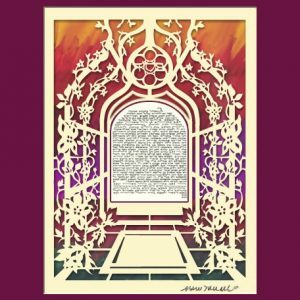 The “Modim /Modeh” art theme in this papercut is as meaningful today as ever before; a message which is at once simple, clear and timeless. 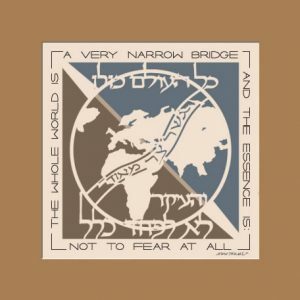 We are thankful for all of His miracles, big and small, even the tiny ones we encounter each and every day. 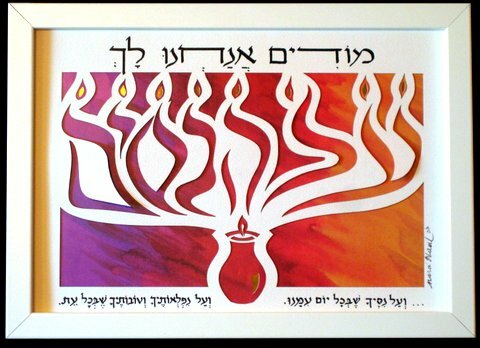 Not just the perfect gift for Chanukah, but this paper cut, with its fiery bright colors and golden flames, and its framed finish, is a great Judaica gift any time of the year.